The Hotel Metropolitan located at 724 Oscar Cross Drive is a hotel built in 1909 to house African-American travellers. After extensive renovations, the hotel is now a museum that pays tribute to African-American heritage and to the well-known people who stayed there including Ike and Tina Turner and Louis Armstrong. Visit Hotel Metropolitan for more information. The Paducah Railroad Museum is located at 200 Washington Street. It's a project of the Paducah Chapter of the National Railway Historical Society that showcases equipment and memorabilia from America's railroads. Contact the Paducah Railroad Museum for hours of operation, exhibit details, and admission prices. The River Discovery Center located at 117 South Water Street has several educational interactive exhibits. 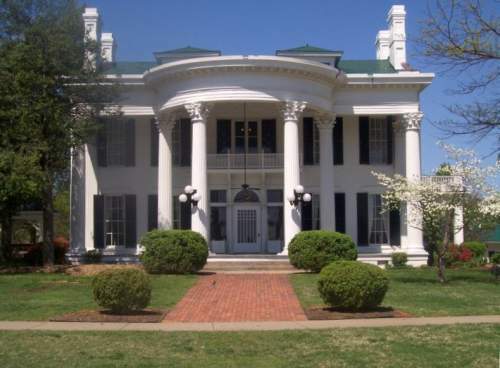 The Center celebrates Paducah's maritime legacy and lore. Interactive exhibits tell the story of the Four Rivers Region. Captain a towboat, pleasure watercraft, or Coast Guard buoy tender through various scenarios in the pilothouse simulator. Visit River Discovery Center for more information. The National Quilt Museum of the United States was established to educate, promote, and honor today's quiltmaker, quilts, and fiber art. The museum also hosts educational programs on a diverse number of topics for quilters of all skill sets. As the largest quilt and fiber art museum in the world, The National Quilt Museum showcases breathtaking exhibitions in nearly 30,000 square feet of contemporary gallery space. The William Clark Market House Museum is located at 121 South 2nd Street in a historic market house building. The museum has 4,000 square feet of rotating exhibits and artifacts from Paducah's past staged within an 1876 drugstore. Visit William Clark Market House Museum for more information including interesting facts about history. Located at 200 Broadway, Yeiser Art Center offers a permanent exhibition space and a permanent collection in addition to rotating exhibits. The Center strives to continue the development and appreciation of the visual arts. For more information about current and upcoming exhibits, visit Yeiser Art Center.